From the quarries of Val d'Ossola they extract the metamorphic rocks derived from the processing of other rocks, such as gneiss and serizzi Ossola. The serizzi and gneiss are ortogneiss and are derived from the processing of igneous rocks (granites). The merits of the Gneiss Grey and Serizzo Antigorio concern, in addition to aesthetic beauty, the physical characteristics. They are particularly resistant to aging and to all types of stresses such as wear and frost. Gneiss and serizzo are irreplaceable in the use as a stone roof , stones for gardens , stones for exterior cladding , external paving , interior flooring , as stones for pools coating . 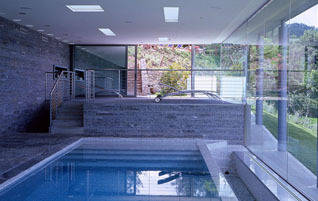 Italbeola since the 90's is specialized in the processing of natural stones . From the quarries of Val d'Ossola they extract the metamorphic rocks derived from the processing of other rocks, such as gneiss and serizzo. 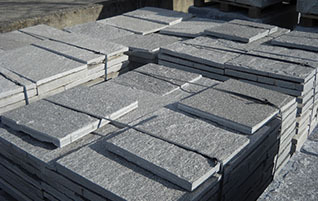 The serizzi and gneiss are ortogneiss and are derived from the processing of igneous rocks (granites). The merits of the Silver Gneiss and Serizzo Antigorio concern, in addition to aesthetic beauty, the physical characteristics. They are particularly resistant to aging and to all types of stresses such as wear and frost. Italbeola is specialized in manufacturing of stairs, window sills, and exterior and interior floors of each type of coating in general . Italbeola is proud to represent a company that confirms the Val d’Ossola traditions.